Betrium is a partially decentralized platform developed by a group of entrepreneurs and MIT & MIPT graduates for global exchange of rates on a global scale, with zero commissions, accepting cryptocurrencies. It is intended both for ordinary people who want to make bets, and for organizers of various sports events, developers and service providers. The market of zart players and sports betting is really huge. As of 2017, the global regulated gambling market is about $ 533 billion. USA. In the global betting market, gross income amounted to $ 70 billion. The unregulated market is many times larger. According to Interpol is 1 trillion dollars. More than 100 million people regularly bet on sports and spend a lot of money every month. Betrium undertakes to resolve these shortcomings. Betrium provides a special partner solution for event organizers who want to make money. Each owner of Betrium Network account can create custom events and earn on bets in just a few clicks. For example, an e-game organizer (or player) can create a match on Betrium, add potential results, and publish it. Betrium automatically adjusts the odds to make it profitable. Betrium will also provide special marketing tools to promote such events. Betrium offers an enhanced Open API for developers, bots, third-party applications and betting service providers. The team develops Betrium Framework for the most popular software platforms. 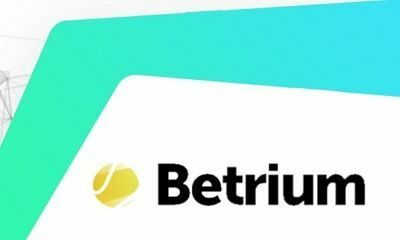 In the future Betrium may become a center for collecting and processing bets all over the world. Profit: 50% of the annual profit. Each btrm token holder regularly receives half of Betrium's profit, and this is a key element of our token price increase mechanism. Thus, the Betrium token is directly supported by Betrium's financial success and has a real growing value. We offer the stabilization of the volatility of cryptocurrencies to users. In Betrium, balances will be recorded in virtual USD / EUR, so users will be protected against loss on regular dumps. We will achieve this by combining some exchange functionalities (USD / BTC / ETH) and future partnerships with various local and global exchanges. Although the essence of Betrium cannot be regulated, our goal is to make our platform as legitimate as possible. We will operate in full compliance with the law under the Curaçao license for online gambling. Curaçao is the most popular offshore and e-zone for such purposes and is used by many of today's biggest betting, online casino and poker providers. Moreover, in the future we plan to obtain licenses in Malta, great Britain, Germany, Australia and the USA. To achieve its goals, Betrium releases ITS btrm token on the Ethereum blockchain. A total of only 140 million BTRM will be released. Tokens will be issued during the pre-ICO and ICO. Inactive tokens will be burned.